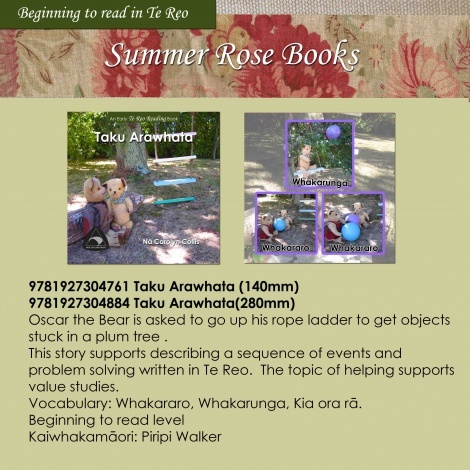 Oscar the Bear is asked to go up his rope ladder to get objects stuck in a plum tree written in Te Reo. This story supports describing a sequence of events and problem solving. 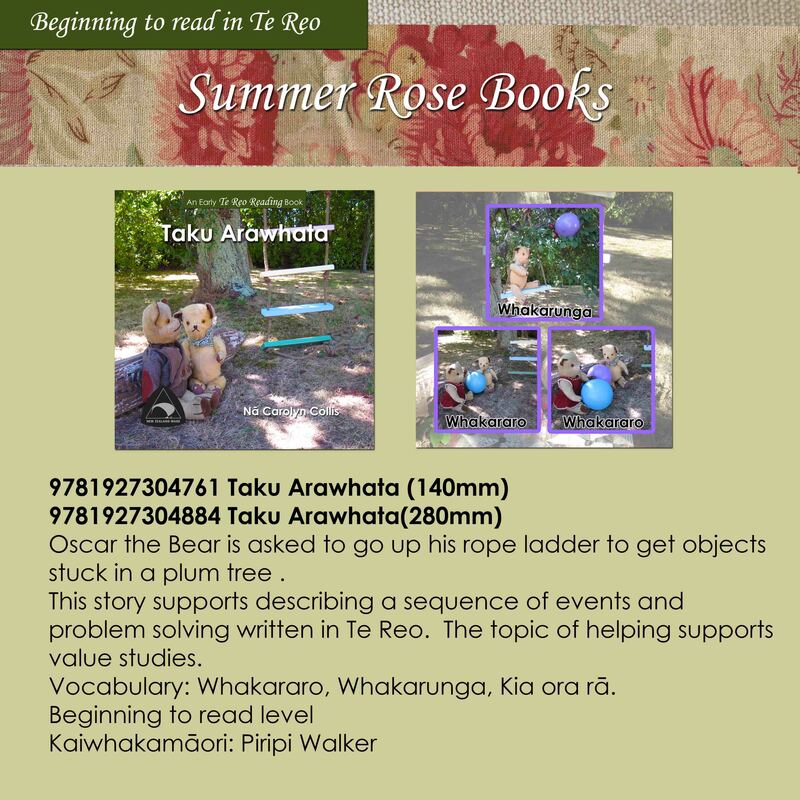 The topic of helping supports value studies. Vocabulary:Whakararo, Whakarunga, Kia ora rā.